This 115-page Solitary Elephants in Japan Report by elephant biologist Dr. Keith Lindsay is a detailed examination of 14 solitary elephants in Japan. Author: Dr. Keith Lindsay is a biologist best known for his long-term study of elephants. Dr. Lindsay’s work began in 1977 in Kenya’s Amboseli National Park, the top place in Africa to get close to free-ranging elephants. There, he began researching wild elephants with the Amboseli Trust for Elephants, now the longest running study of elephant behavior in the wild. From then on, Dr. Lindsay’s professional work with elephants expanded to other parts of Africa, Asia and North America. And his growing expertise in the field led to more work consulting on elephant conservation and management projects globally. 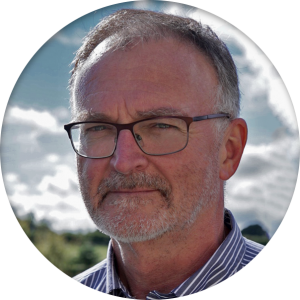 In recent years, Dr. Lindsay has worked in relation to CITES (the Convention on the International Trade in Endangered Species) to help to stop the ivory trade. He has also been active in promoting improved well-being for elephants held in captivity. Dr. Lindsay regularly participates in global events and conferences as one of the world’s foremost elephant experts, and a leading authority on their conservation and protection. Elephants are among the most social animals on the planet. Keeping them in isolation is contrary to their nature and welfare. Elephants also require large spaces, including pasture to graze, and lots of physical and mental stimulation. In Japan, keeping solitary elephants in zoos seems to have been a relatively routine historical practice. While there is some evidence it is diminishing, today, there are still a significant number of solitary elephants in Japanese zoos: 14 of which are examined in this report. For the sake of these elephants, we hope that the Solitary Elephants in Japan Report’s recommendations are seriously considered and implemented as soon as possible. We also hope that this report is seriously considered by all of the elephant-keeping zoos, Japan’s zoo association, policymakers at all levels of government and concerned members of the public. Anyone is welcome to download, read and use this report as a tool to learn more about elephant welfare and to empower themselves with knowledge to drive educated awareness and positive change for elephants. We hope that it ignites discussion, debate and action for all of Japan’s elephants, as well as other elephants around the world. 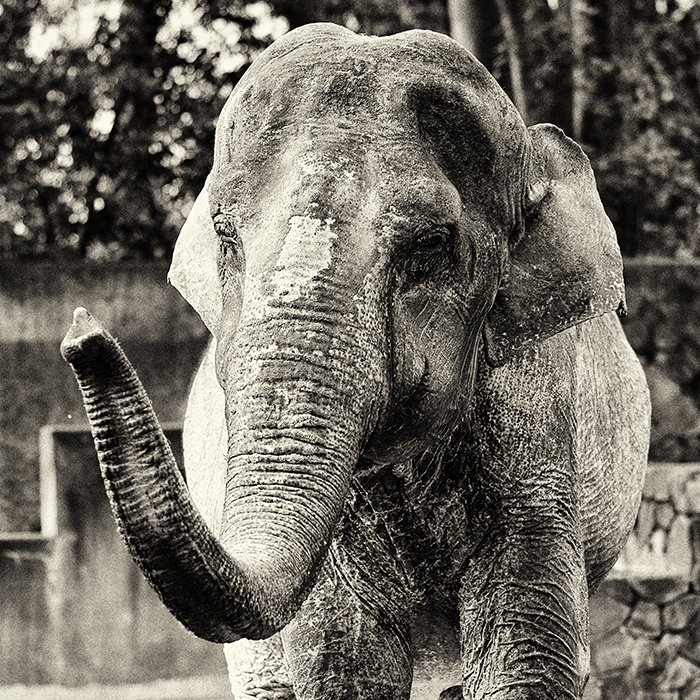 The days of every zoo keeping elephants, no matter how inadequate the conditions, must come to an end. It is time to move forward into a more humane future for elephants. For the elephants, it can’t come soon enough. Dr. Keith Lindsay is a biologist best known for his long-term study of elephants. Dr. Lindsay’s work began in 1977 in Kenya’s Amboseli National Park, the top place in Africa to get close to free-ranging elephants. There, he began researching wild elephants with the Amboseli Trust for Elephants, now the longest running study of elephant behavior in the wild. From then on, Dr. Lindsay’s professional work with elephants expanded to other parts of Africa, Asia and North America. And his growing expertise in the field led to more work consulting on elephant conservation and management projects globally. In recent years, Dr. Lindsay has worked in relation to CITES (the Convention on the International Trade in Endangered Species) to help to stop the ivory trade. He has also been active in promoting improved well-being for elephants held in captivity. Dr. Lindsay regularly participates in global events and conferences as one of the world’s foremost elephant experts, and a leading authority on their conservation and protection. This is a superb report. It combines a wealth of knowledge of free-living elephants with detailed assessments of current conditions in Japanese zoos, culminating in a set of recommendations. The case-studies are heart-wrenching. As long as elephants are held captive—and may the day come when they are not—this report should be the gold standard, not just in Japan but worldwide. Elephants are iconic and magnificent social and emotional beings. They cannot be provided anything that resembles even a marginally acceptable life in captivity, and when they are kept alone it is a shameful violation of who they truly are. 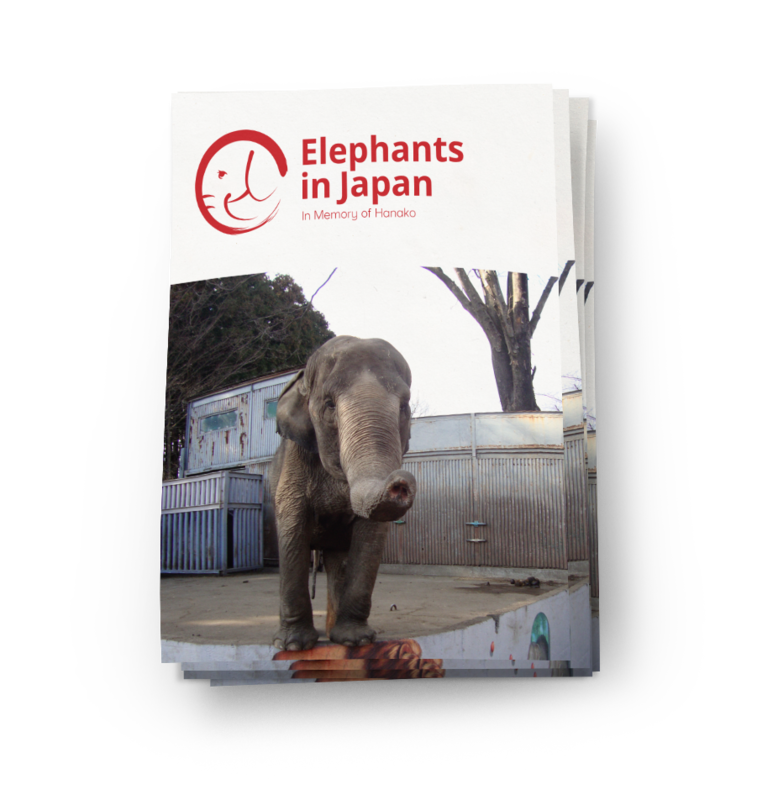 I hope this important report improves the lives of elephants in Japan and wherever they are held captive. This report thoroughly researches and documents a pattern of antiquated living conditions and care approaches wholly unnatural and unhealthy. In our modern world no elephant should live under such conditions. Japan should be encouraged to adopt and exceed international best practice guidelines for elephant management, with the aim of giving elephants the life they fully deserve. The well-researched information provided is a blueprint for improvements in the well-being of captive-held elephants worldwide. There can be no more worthy a report to be launched on World Elephant Day (WED). With WED we celebrate what it is to be an elephant and we acknowledge the importance of their existence as part of our world. It is a time for us to remember where we have served elephants well by granting them their space and freedom but simultaneously we need to acknowledge where we have failed them. Placing a a highly social animal, built to cover large distances in a small pen and without any of its kind, can only be viewed as an indictment of our society. We should strive to do better and fortunately Dr. Lindsay points the way with this report. Public zoos were a Western idea imported unchanged to the East, where most zoos remain completely unchanged from their 19th century concept. The disturbingly ugly and demeaning environments in which Japan’s zoos keep elephants is perhaps the worst aspect of this unfortunate trend. This nadir suggest there are only two options: close them down, or completely refashion them. Everyone who cares about animals and the natural world can only hope that this important initiative from Zoocheck Inc, revealing the awful conditions in Japanese zoos and the horrible lives their elephants endure, will lead to positive and creative responses, and that Japanese Zoos will discard this imported and outdated concept and seek to evolve into new types of zoo institutions that respect animals and adore nature— and encourage urbanized communities to embrace the same values. Japan has adopted several other aspects of modern Western culture, and successfully (often elegantly and beautifully) improved upon them. They now have opportunity to do the same for the outmoded concept that their zoos are perpetuating. Emeritus zoo director (USA and Australia), author, and architect. This timely and important report clearly shows the shocking differences in behaviour and physical conditions of these captive elephants compared to their conspecifics in the wild. Elephants are among the most socially and emotionally complex animals that have ever lived, and their well-being cannot be served in captivity, let alone in solitary conditions. In short, the report highlights the tragic, sad lives that these elephants are living. I sincerely hope that the recommendations of this report will be enacted and, if necessary, enforced as soon as possible. The good intentions of elephant keepers alone cannot sufficiently improve these animals’ lives and it is a continuing embarrassment to all nations, including but not only Japan, that elephants are still kept in these cruel conditions in the 21st century. I highly recommend all who are concerned with the lives of elephants in captivity to read the excellent report “Solitary Elephants in Japan” by Keith Lindsay. It is a very well researched, very detailed report on 14 elephants living in Japanese zoos. Lindsay brings his extensive knowledge of free ranging elephants to his observations and understanding of the paltry existence of these elephants, many of whom have lived alone for decades. 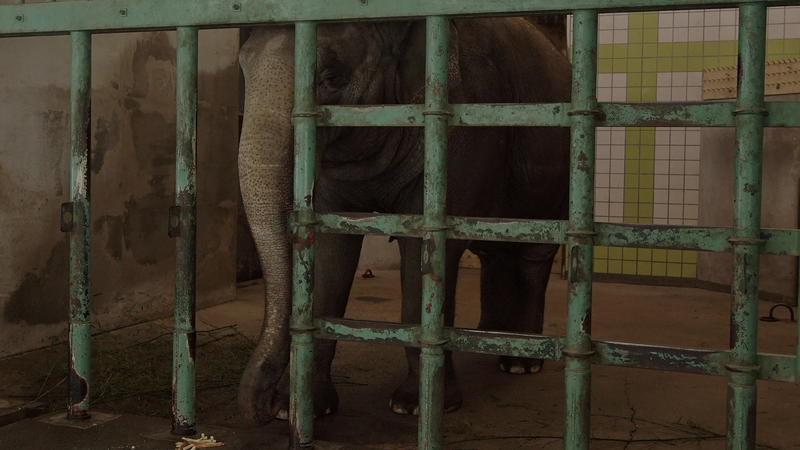 This report presents a shocking picture of the lives elephants endure in Japanese zoos. The images of elephant exhibits are among the most appalling I have ever seen. The elephants, themselves, look pathetic – for the most part living solitary existences, standing on concrete or other compacted surfaces, in utterly inadequate spaces. I hope that this report will lead to significant improvements in the welfare of all elephants in Japan and the banning of any future elephant importations. The Performing Animal Welfare Society (PAWS), which cares for eight elephants at its ARK 2000 natural habitat sanctuary in California, fully supports the breakthrough report, “Elephants in Japan: In Memory of Hanako,” that shines a bright light on conditions for elephants in Japanese zoos. The report contributes undeniable facts to ample existing evidence that elephants simply do not belong in captivity, while recognizing that currently confined elephants must be provided the best care possible. This sobering report should mark the beginning of a new and genuine respect for one of nature’s most incredible animals. We urge zoos in Japan to consider its recommendations and make the changes necessary to provide a better life for the elephants in their care.